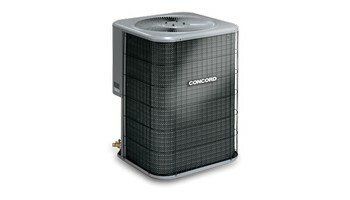 Every Concord® air conditioner is built to offer quick relief from hot weather, while delivering year-round energy savings. Making the right choice for your home now means considering theefficiency rating of the unit, and whether it has one or two stages of operation. 4AC18LT Air Conditioner Two stages of cooling open up infinite possibilities for your comfort and your energy savings. With two stages of cooling, the 4AC16LT offers many opportunities to save.